What flowchart symbols are used in accounting systems? 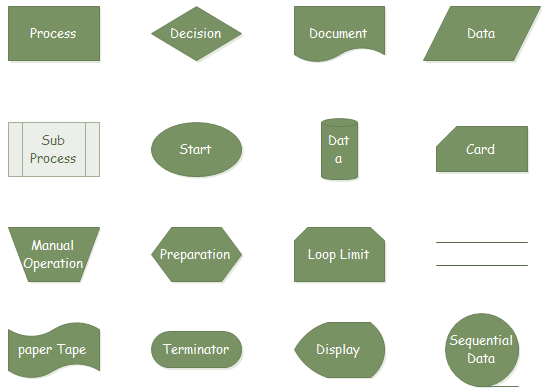 The accounting flowcharts contains 16 symbols for drawing accounting flow charts. If you are preparing an accounting flowchart and have not enough time to learn all flowchart symbols, you can read the follow article to learn the most used flowchart symbols. It is necessary to use the ISO flowchart symbols to begin your flowchart. Because others can understand more accurately and comprehensively by using a set of common, uniform flow chart symbols. The accounting flowcharts contains 16 symbols for drawing accounting flow charts. 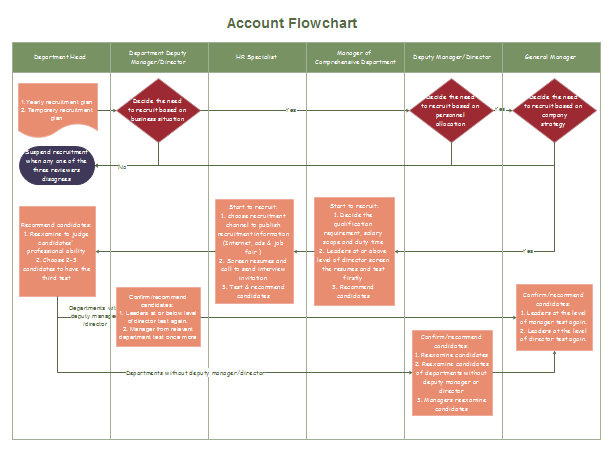 A simple account flowchart is a graphically representation of the flow of data in an organization. The following flowchart describes the flow of transactions process in a specific area of the accounting and financial department.